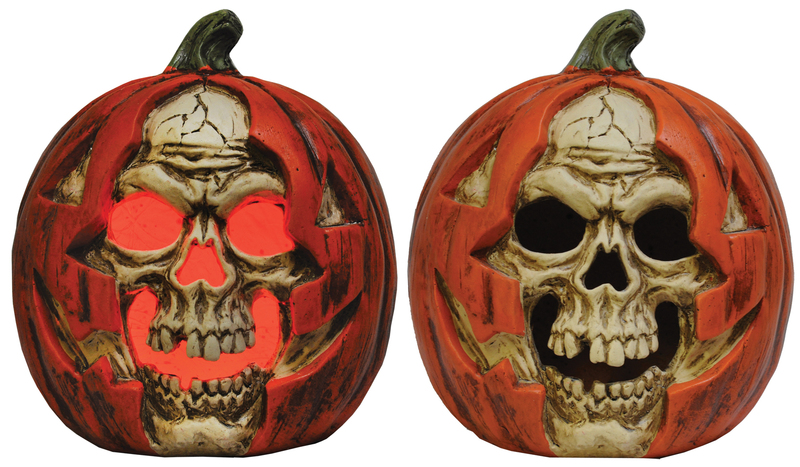 Durable, creepy skull appearing to breakout of a pumpkin. Red LED light inside gives a haunting look. Try me and on and off feature included. Heavy stone (Magnesium Oxide) construction. Great party decoration! Measures 14 inches x 11 inches x 9 inches. Requires 2 AA Batteries.